Northern Norwich’s Nelson Victory Explorers gathered at City Hall on Thursday 30 January to welcome nine new members to the unit. Explorer Scouts are aged between 14 and 18 years old. 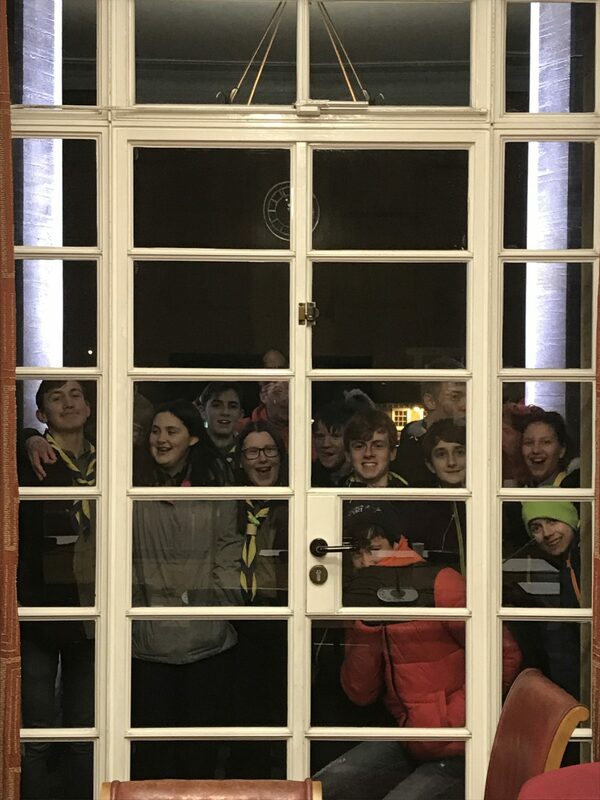 After the short ceremony when each new member made their special Scout promise, the Explorers were able to spend time viewing the city from Europe’s longest balcony. The members were then taken inside for a tour of the public rooms of the building, finishing in the Council Chamber. 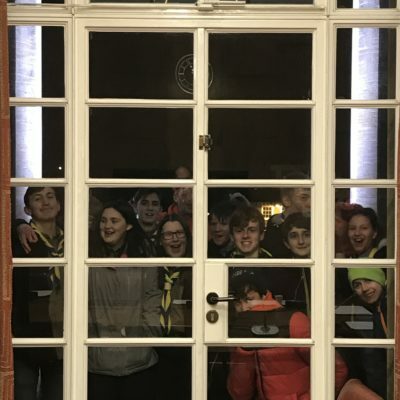 County Commissioner, Matthew Burrell who joined the Explorers for the evening was offered the Lord Mayor’s chair and hosted a short question and answer session with the Explorer Scouts. Questions included how are neckerchiefs chosen? Who makes decisions in Scouts and how do we elect a new County Commissioner? !